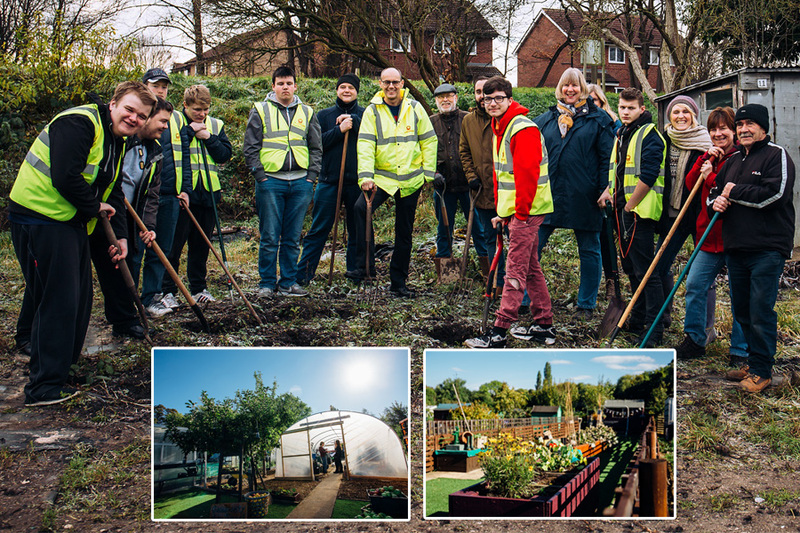 Derby-based special educational needs (SEN) sixth form students have joined G F Tomlinson, Ashbourne Road District Allotment Association (ARDAA) and BBC Radio Derby’s ‘Potty Plotters’ on a community volunteering project at Ashbourne Road Allotments. Andy Sewards, managing director at G F Tomlinson, said: “This project brings together plot-holders and local students in the spirit of community integration and is another example of the lasting legacy G F Tomlinson delivers through Scape’s Regional Construction framework. They said: “We know the pleasure and satisfaction derived from successful growing and have both enjoyed hours of fun on our plots. The starter plots are a great concept, giving the beginner allotmenteer every opportunity to learn and fully enjoy their own growing space whilst developing the confidence, skills and knowledge to move forward. Joe Johnson at Horizons 6th Form, said: “This is a fantastic opportunity for our students, they will be developing lots of transferable skills including elements of construction, horticulture, teamwork and also raising levels of social skills by working with new people.